If you're travelling to adopt, read on to learn what medical precautions you can take to ensure your family makes the journey safe and sound. 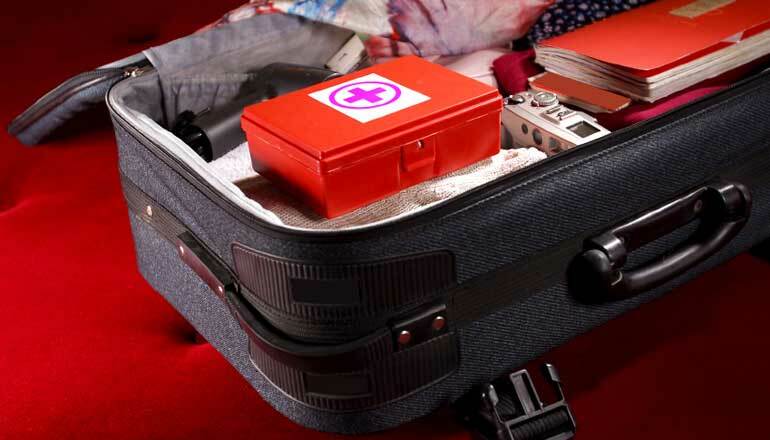 Whether you’re traveling in the U.S. or abroad, preparing for medical emergencies — even minor ones — is always a smart idea. The less you worry about illness, the more you can focus on what’s really important — your new family. Of course, situations vary, and the medical preparations for adoption travel that you take will largely depend on where you are going and how long you will be there. As soon as you know you’ll be traveling, consult your family doctor (and your child’s pediatrician) about how to make your trip a healthy one. Here are some things you’ll want to cover. Routine immunizations may not be enough if you’re traveling to certain foreign countries. In many places, your family needs vaccinations against diseases that you wouldn’t encounter at home. Check with your doctor and pediatrician to make sure everyone’s standard immunizations are up-to-date. Consult a travel-medicine specialist about the specific vaccines you’ll need for your destination. Your primary-care physician probably won’t know about the current health risks in the Hunan province of China — and if he does, he may not have the vaccines you require in his office (say, typhoid or Japanese encephalitis). A travel-medicine specialist will meet these needs. To find one, ask your physician for a referral, or visit the International Society of Travel Medicine’s directory at www.istm.org. Should you pack special medications for the new baby? What kind of medical exams will the new child have had? What vaccines will your child need when she comes home to the United States? The Great Debate: Should You Pack Antibiotics? Nervous about various bacterial infections, many adoptive parents are inclined to pack antibiotics — just in case. Doctors have some mixed opinions about this. Some feel they’d rather see you prepared for everything, and write prescriptions with no fuss. Others say there are many kinds of antibiotics, and only a doctor who has assessed your illness should decide which one you need. Talk with a doctor, and make a decision based on where you’re going and how long you plan to be there. Consult with a travel-medicine specialist about prophylactic medication. Consult with your family doctor (and pediatrician) about the specialist’s prescriptions. Keep medications in their original bottles — you won’t mix them up or forget the dosage. If the original container is too large, ask the pharmacist to give you a smaller one and label it. Never put two medications into one container to save space. Drugs can chemically react to one another. Bring more medication than you think you will need. Pack all prescription medications in your carry-on luggage in case your bags get lost or delayed. Note your child’s birth measurements and APGAR score. Get the results of metabolic screening tests, such as PKU or thyroid, and all records of immunizations, transfusions, and medications. Record as much information as possible about the age, health, and genetic tendencies of the birth parents and birth siblings. Ask about conditions that run in the family, such as diabetes, heart disease, and breast or colon cancer. Write down a description of the birth mother’s pregnancy, labor, and delivery, including prenatal care. Ask about any lab tests during pregnancy, such as maternal infectious diseases screening. Documentation regarding your family can make emergency room visits — and getting through customs — a whole lot easier. If only mom is traveling, take a notarized letter from dad stating that she has permission to leave the country with their child. In addition to passports, bring copies of your adoption decree and birth certificate for any child who was previously adopted. Ideally, your baby won’t need to see a doctor during your trip — but on the off chance she does, be prepared. Ask your adoption agency to refer pediatricians in your destination. Since the agency has worked in the region before, they may have some great referrals to offer. Call your hotel and ask if it has a doctor on call, and ask how it handles medical emergencies. Ask your facilitator for the names of local pediatricians. Talk with your own primary-care physician about recommendations for medical care away from home. Ask if you can call him/her from abroad. Ask your child’s future physician about how to handle medical situations on the road. Aside from taking medications, these simple practices, recommended by the Centers of Disease Control, can help keep you and your family healthy in foreign places. Don’t eat or drink dairy products that are not pasteurized. Eat only thoroughly cooked foods, or fruits and vegetables you have peeled yourself. Drink only soft drinks from cans or bottles. Beware of mosquitoes where malaria is a concern. Use insect repellents that contain DEET — it’s safe for adults, children, and infants older than 2 months — and wear long sleeves, pants, and hats. If you become ill after you return home, remind your physician or specialist that you were in another country. Your doctor can focus on illnesses to which you may have been exposed, and help you make a speedy recovery. Some health insurance companies won’t cover medical emergencies if you’re outside of the U.S. If you’re traveling abroad, consider purchasing a travel medical insurance policy. For $119 per couple, per year, American Express offers $50,000 (per person) worth of coverage for cardmembers who are more than 150 miles from home. Not a cardmember? Book with an insurance company that offers policies on a per-trip basis. Premiums are generally nominal for coverage up to $50,000. Their cost depends on the age of the traveler, and the length and cost of the getaway. To find an insurance company and compare premiums, visit www.insuremytrip.com. Choose wisely — your internationally or domestically adopted child's pediatrician ..
It’s The Law: Why Your Health Insurance Company Must Cover ..
My insurance company is refusing to cover medical expenses for ..
Is there a certification process for physicians who specialize in ..